In this issue: Paeans to small islands, to Greyhound bus travel, and to not allowing parenthood to stop you in your travel tracks. The country of Great Britain may itself be an island with an area smaller than Oregon's. But it is the sprinkling of much smaller islands around its edges that interests this author. 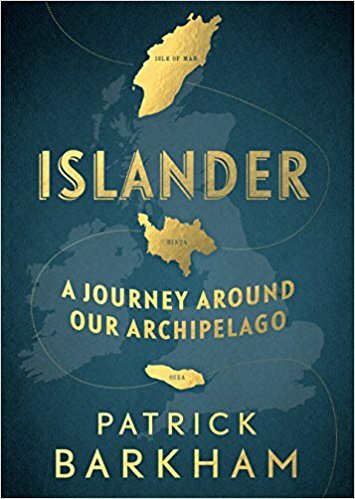 Of the 6,000 islands, 132 with permanent residents, Barkham chooses 11 to write about, starting with the substantial Isle of Man between England and Ireland (population 85,000) and moving through ever smaller islands till he camps on tiny Ray Island (population 0) in an English river estuary. All have very different histories (and futures). Alderney in the Channel Islands was temporarily evacuated in World War II when the Germans captured it. Hirta in the North Atlantic was evacuated forever in 1930 when life became impossible for the residents who had for centuries subsisted on seabirds and their eggs. Close-knit communities are always appealing (unless they are hostile to outsiders). Who could not relish rush hour on Rathlin Island off the coast of Northern Ireland, consisting of five cars and a dozen people waiting for the ferry? Barkham begins to notice that these smaller societies are arranged on a human scale, where people not only have stories to tell but the time to tell them. The Gaelic story-telling tradition survives in the Hebrides while it has been lost in the modern cities. He is a good storyteller himself and through him we meet many colorful and impressive characters. But the living is precarious on the margins. The health of small islands is often measured by the number of children at primary school. 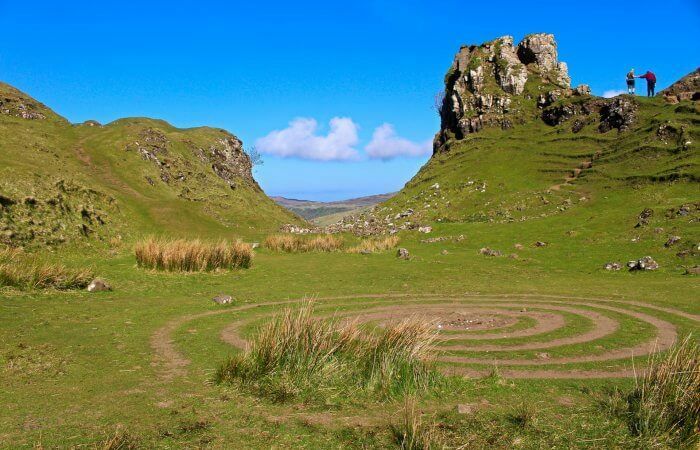 Survival depends on welcoming incomers, which the inner Hebridean island of Eigg has done, attracting mainly creative people, successfully fusing "Hebridean culture and mainland counterculture". Other islands have gone down different routes. The autonomous Isle of Man has developed a crypto currency industry (e.g. trading in Bitcoin). Tresco, one of the Scilly Isles off the coast of Cornwall, has turned itself into a tourist mecca and is in danger of becoming a parody of itself. Several are nature reserves. Even if most of us are unlikely to visit these obscure islands, the quality of the writing brings both pleasure and insight. On Orkney (off the north of Scotland), he notices that "a line of young archaeologists, bent over on their dirty kneepads, look like the bedraggled members of a cult, praying to the god of discovery." Or this satisfyingly neat introduction to Eigg where "the trees have wild beards of lichen, the residents just have wild beards." The charming text is supplemented with photos, including one of the "Pensioners' Skateboard" which allows visitors to pull themselves along on a wheeled trolley to explore a Stone Age tomb chamber on South Ronaldsay. From exploring small islands and meeting their residents, the author extrapolates some general truths about islands and their isolated and enclosed communities, as well as conveying to the reader their beauty and uniqueness. The only photo in this book is of the eponymous creature of the book's title. After an epic journey of 10,000 miles by bus from DC to Ushuaia at the southernmost tip of South America, Andrew Evans finally achieves his childhood dream of getting to Antarctica. 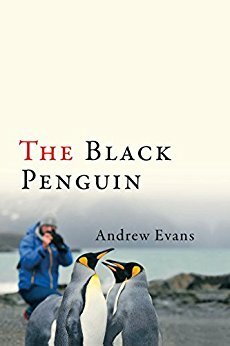 When exploring South Georgia, he sees and photographs an extremely rare "melanistic" all-black king penguin. This is a fitting conclusion to his fascinating journey, not just because it thrills his sponsors, National Geographic, but because he identifies with a creature who is so different and does not fit in. On New Year's Day 2010, 34-year-old Andrew Evans set off from the National Geographic headquarters in Washington bound for Antarctica by Greyhound bus. He covers the distance in a remarkable 40 days and 40 nights, spending not much more than $1,000 on bus tickets plus an unavoidable $370 flight over the Darien Gap of Panama. He could have flown the whole way if he had had a lot more money. He admits it was a gimmick—Twitter handle Bus2Antarctica—to impress the editor of the magazine. But it was born out of an authentic longing to "feel the latitudes of Earth" by traveling on the humble bus. His warm encounters with "bus people" (one or two making him think of "redneck docudramas") and his excellent writing elevate bus travel to something more exciting and poetic than expected. But it is the flashbacks to his own coming-of-age life story cleverly interwoven with his travels that make this book exceptional. Evans grew up in a strict Mormon family and was a devoted follower until he realized that it was incompatible with being a gay man. He describes without self-pity how he was ostracized as a growing boy, and then officially excommunicated from the Church after a grueling year of "reparative therapy" at Brigham Young University failed to have the desired effect. It was his love of world geography and dreams of travel that were his salvation. He has gone on to become an accomplished linguist and travel writer. It is impossible not to share his pleasure at achieving not only his dream of reaching Antarctica but of marrying Brian, his long-term partner. Religion plays a part in this travel story too, and the author believes that wanderlust is God-given. There may even be a mild religious crisis hovering in the background of this one-year journey en famille, but this book is not about that. 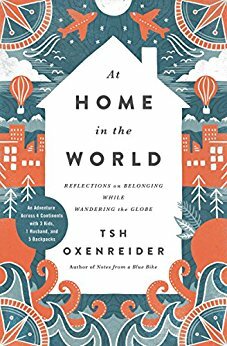 In September 2014, the author and husband sell their house in Oregon and set off with their three children aged four, six and nine to travel the world. The introduction argues that people who assume that the traveling life is incompatible with parenthood are making a terrible mistake. I was not entirely convinced that the travel tales that follow proved this. My reservations arise from how much parental effort seems to go into hanging on to the comforts and cultural trappings of home. They do not exactly go native with their electric toothbrushes and supply of peanut butter and Netflix subscription, homesickness for coffeemakers and therapists, requests for no-spice soup in Thailand and desire to hear Jingle Bells played in stores at Christmas. In Morocco the highest praise bestowed on a tagine is that it tastes like pot roast. Disproportionately too many pages are spent grousing about arrivals and departures, jetlag and motion sickness. Everyone needs down time when traveling for an extended period but, when in the chapter about Ethiopia, she "plugs in her earbuds, slips on her eye mask and listens to her audiobook" my first thought was "why include such trivial information in a travel narrative?" The second thought was, maybe this could be seen as a symbolic shutting out of the place she is visiting. Especially given that the audiobook is about Abraham Lincoln; elsewhere she reads Bill Bryson's book At Home. Perhaps it is unfair to expect an all-American family not to feel homesickness for turkey at Thanksgiving. But it remains they seldom seem to interact with local people, only the private drivers they hire. Often they seek out expat families. In Ethiopia, they do travel to a remote village to visit a child they sponsor via an international charity (whose tagline is Releasing Children from Poverty in Jesus' Name), but they stay just one fleeting day. Much of their traveling seems to be of the whistlestop variety. They fall victim to the dangerous fallacy that you must dash off to see the great sites because you might never have another chance, so inflict a grueling travel timetable on the children to see (for example) Victoria Falls. The parents are experienced travelers—they met while volunteering in Kosovo, and lived in Turkey—and should not have been surprised that the highlights, especially for the children, occurred when they stayed put in suburban Sydney, Chiang Mai and rural Provence. Despite the book's defects, they are a likeable bunch. Kyle, the author's saintly husband, spends a lot of time sprinting back through airports trying to rescue beloved objects left by the children on planes. During their successful year of traveling, they learn together that the "simplicity of owning less to see more" helps them to "weave a family tapestry." Susan Griffith is a Canadian travel writer and editor based in Cambridge England, who writes books and articles for adventurous working travelers. Starting with the classic Work Your Way Around the World and Teaching English Abroad, she has also turned her attention to gap years and has written definitive guides for the young and the not-so-young: Your Gap Year and Gap Years for Grown-ups. She also contributes hotel reviews to the Daily Telegraph, a British daily newspaper.